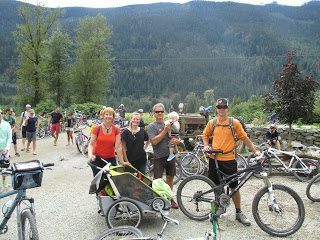 Pemberton Meadows – Let's Go Biking! 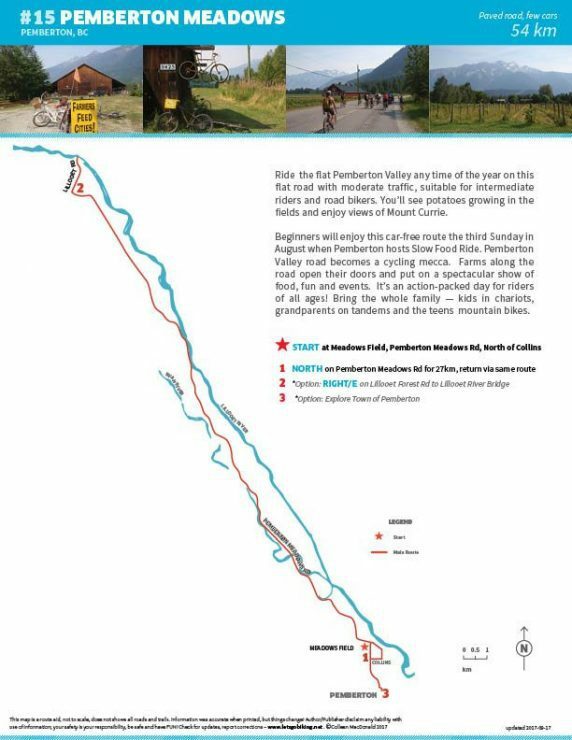 Pemberton Meadows – Let's Go Biking! Ride the flat Pemberton Valley any time of the year on this flat road with moderate traffic, suitable for intermediate riders and road bikers. 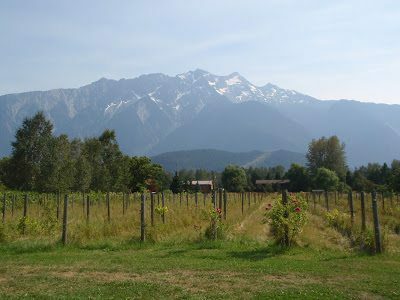 You’ll see potatoes growing in the fields and enjoy views of Mount Currie. 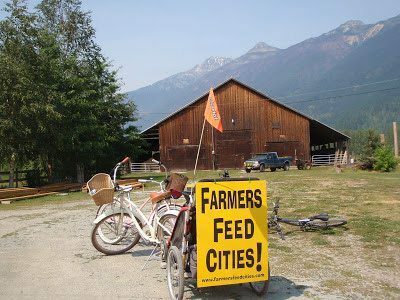 Beginners will enjoy this car-free route the third Sunday in August when Pemberton hosts Slow Food Ride. 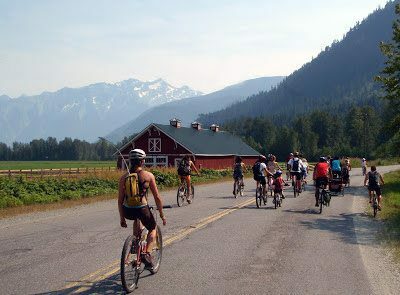 Pemberton Valley road becomes a cycling mecca. 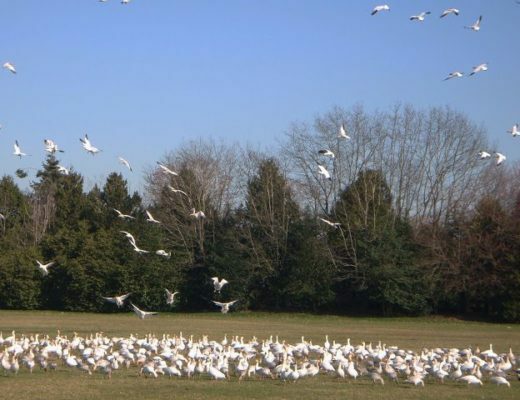 Farms along the road open their doors and put on a spectacular show of food, fun and events. 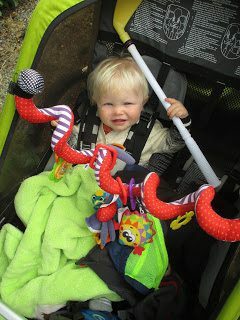 It’s an action-packed day for riders of all ages! 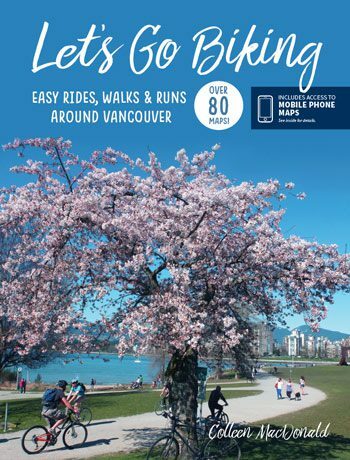 Bring the whole family – kids in chariots, grandparents on tandems and the teens mountain bikes. 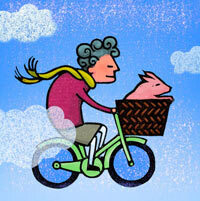 Being Grandparents … is Just Great !